The June 23 Garden Party is double-special. It’s the second Garden Party in June and it’s also a celebration. Save the date! 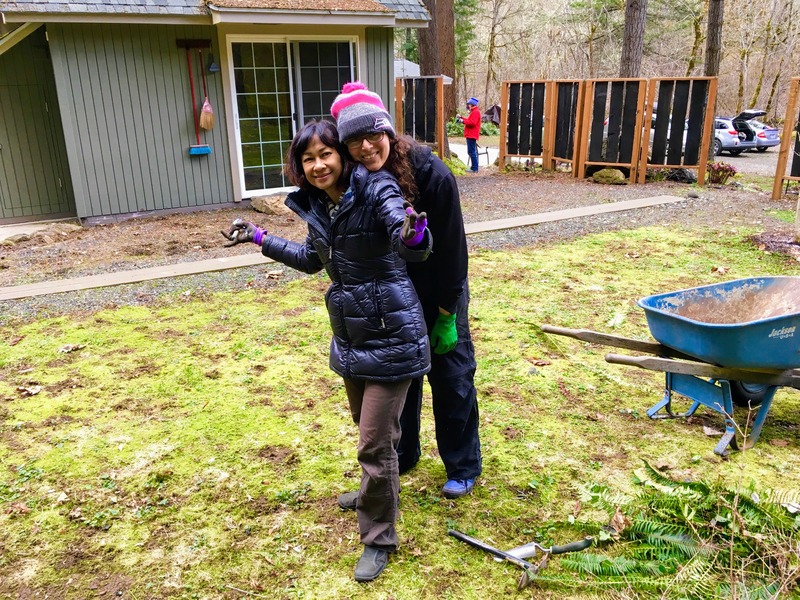 Let’s help Temira celebrate earning her Master’s of Counseling degree by joining her at the Pacific Hermitage for a potluck and/or by lending a hand with yard work. As a regular member of the Hermitage community, Temira wanted to celebrate this big milestone at the Pacific Hermitage. The result is this special garden party celebration with community and other friends, all in service to the Hermitage and the monks. It’s great timing — it’ll add a bit more spiffing up at the Hermitage before Ajahn Sucitto’s and Bhante Rahula’s visits in early July. You are invited to a quiet, contemplative, service-oriented celebration complete with a potluck that’s as delicious as we can possibly make it! Please join me for a potluck meal with my monastic friends and meditation community. After the meal, you’re invited to stick around for an hour or two of volunteering (aka ‘yard work’) and socializing (aka ‘socializing’). The meal is served promptly at 11am, so please arrive no later than 10:40, earlier if you need to heat or prepare food. The Pacific Hermitage is located just outside of White Salmon, Washington. Check out the Contact page for the address and a map. Previous PostPrevious 2018 Birken Retreat Talks Available Now!